VENTURA, Calif. (KABC) — A fire broke out early Friday morning after a pickup truck plowed into a two-story office building in Ventura, leaving one person hospitalized, authorities said. Firefighters from multiple agencies responded to the scene, near the intersection of Walker Street and Moon Drive, about 1:12 a.m. and battled flames that had made their way from the first floor to the roof, according to the Ventura City Fire Department. An injured man who had been inside the truck was transported to a hospital in unknown condition. Emergency responders were unable to locate the vehicle’s other two occupants, who may have fled the scene, fire officials said. The blaze was brought under control within 23 minutes of the firefighters’ arrival and was extinguished one hour later, officials said. No firefighters were injured. The cause of the crash was under investigation. It is important to understand that a fire can happen at any time, and as you can tell, by anything. This may be a chance occurrence, but if you aren’t prepared for an office fire, you are risking much more than your investment. You are risking the health of your employees and everyone around you as well. There are lots of services and equipment available on the market today that will put your mind at ease when it comes to a fire igniting in your office space. Make sure you have all the fire suppression technology necessary to keep everyone (and everything) in your building safe. 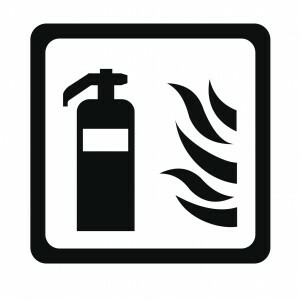 If you would like to learn more about fire suppression technology, contact CJ Suppression Inc. at 888-821-2334 or visit www.cjsuppression.com for additional information. As a landlord, there are many responsibilities you have under your belt. Not only do you have to take care of your investment, but you also have to ensure that your employees and tenants are also as safe as possible. After all, they’ve entrusted you to make sure you are looking after their best interest. 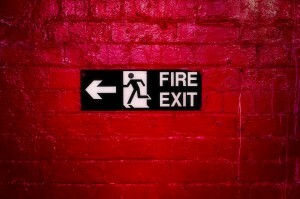 One of the biggest, and most devastating, dangers you may face is fire. Not only does it affect you and your business, but it also affects those neighbors around you. To ensure you have taken all proper precautions to ensure the safety of all, you may need to make a few improvements. Tenant improvement can be a hassle and a potential danger if not done properly. For this reason, CJ Suppressions can help you and your tenant improvements by providing installation, relocation, and rework within tenant improvement and remodels. 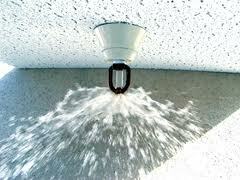 We will thoroughly modify and add to existing to fire sprinkler systems to ensure the safety of your business. Not only will you rest at ease, knowing you’ve taken care of your investment, you can be sure everyone will rest at ease knowing you are looking after their well-being. If you would like to learn more about tenant improvements, contact CJ Suppression Inc. at 888-821-2334 or visit www.cjsuppression.com for additional information. 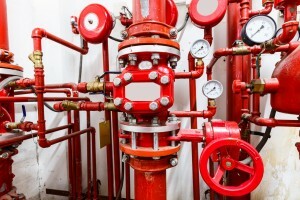 While it’s true that most commercial buildings, and in many cases even residential ones, have some form of fire protection systems installed, not all put a premium on just how important they are. In fact, many often only have such systems installed because of certain bylaws or as requirements for certifications. If owners were given the chance, most commercial buildings probably wouldn’t have any kind of fire protection system installed, except for maybe a fire extinguisher or two. Such a mindset is wrong, and whether it’s a product of the lack of education or not is debatable. What’s alarming here is that many just simply do not realize how important having fire protection systems, namely fire sprinklers installed, especially in commercial buildings. According to the United States’ NFPA, residential fire sprinkler systems increase the resident’s survival expectancy during an accidental fire by as much as 80%. 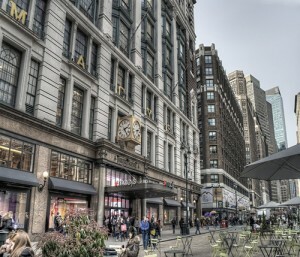 Such an increase in life expectancy should also be expected in commercial buildings. The reason why fire sprinkler systems are so effective in saving lives is that they’re the fastest to respond and control a fire at its exact point of origin. While it is easy to raise the point on how fire extinguishers are enough, one has to remember that in fires, it’s not the heat nor flames that are the most dangerous. 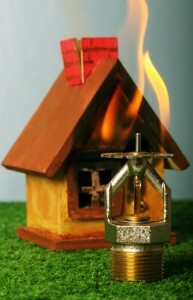 Rather, the aspect that poses the most hazard to one’s health are the toxic fumes and smoke produced by a fire. And, given how smoke can easily spread and impede your vision, it’s already hard enough to walk around your house, let alone find a fire extinguisher to try and fight the fire back. Even with fire sprinkler systems, toxic fumes and smoke will still be there, but their production will be significantly reduced to breathable levels, which could easily mean the difference between life and death. It’s also important to remember that sudden fires can easily spread out to uncontrollable levels in just a few seconds. However, with fire sprinklers, that few seconds could extend to as much as 10 minutes, which is more than enough time for people to evacuate the vicinity and for the firefighters to arrive. Smaller fires also mean less damage and less damage means less expenses incurred in your investment as the owner of the commercial building. The NFPA also has no record so far of a fire killing more than two people in both a commercial or residential building where the fire sprinkler system was properly installed and working properly. While it is true that fire sprinkler systems are rarely able to kill large-scale fires on their own, as mentioned earlier, they do just enough to save lives, minimize damage and most important of all, prevent the fire from needlessly growing larger. If you are one of those who tend to ask building and fire officials why your building really needs fire sprinklers, ask yourself first, why not? The added cost, while certainly a huge factor for the resistance, is not as much as it’s made out to be. In fact, with proper insurance credits, fire sprinkler systems will usually be able to pay for itself in as short as 7 years, which isn’t that long in business years. So, instead of resisting the requirement for sprinklers, embrace it. Again, fire sprinklers may not be able to totally kill fires, but it does more than enough to contain it and save lives in the process. 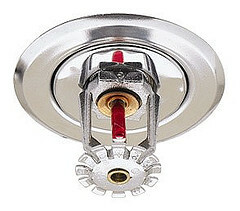 For more information regarding fire sprinkler systems, contact CJ Suppression Inc. in Corona, CA at 888-821-2334 or visit www.cjsuppression.com. CJ Suppression proudly serves Corona, San Bernardino, Yorba Linda, Anaheim, Victorville, Irvine and surrounding areas.